How will we work with you at Care in Mind? Often young people who are referred to us have had some difficult experiences with services. They may feel that they have not been listened to or helped and sometimes they have had other people making difficult decisions about them. We want a placement at Care in Mind to be different. You are the most important member of the team planning and delivering your care and we want to work in partnership with you from the beginning. What is different about Care in Mind? We will help you toward independence – to go to college, get a job, do some voluntary work, move into your own flat to name just a few! We hold a monthly group meeting, which is a chance to share your opinions, meet the other young people, play some games and we always end by sharing some food. Taking an active role in the recruitment of staff through sitting in interviews, creating interview questions, meeting and greeting applicants and helping to decide who we hire! All young people will be given full training, a certificate and a voucher for their participation. We are hoping to work with a leading theatre company to offer a creative leadership programme. This programme is exclusively for young people and will help you improve leadership and presentation skills, giving you the confidence to become involved and build skills that you can use in future work… More information coming on this soon. Put your creative skills to the test by redesigning and creating guides for young people joining or leaving the service, as well as creating guides and training handbooks for new staff. We will provide you with the relevant materials. We are expanding our services and we want all our young people to be actively involved in this process by helping us view and decide on new residential homes. Most young people, while at Care in Mind, will be based in the houses; these homes are your spaces and we want you to have an active role in making sure the houses are the best they can be. After identifying and agreeing improvements, we will work together to implement these changes. It’s not just the residential homes that are spaces for you, we want your input across all our service including our Head Office based in Stockport and our Therapy Hubs. Help us reinvent the therapy rooms and reception areas, whether that’s creating art to put on the walls, giving each therapy room a lick of paint or buying some more cushions or plants. There’ll be a specific budget for these projects which you will take charge of. 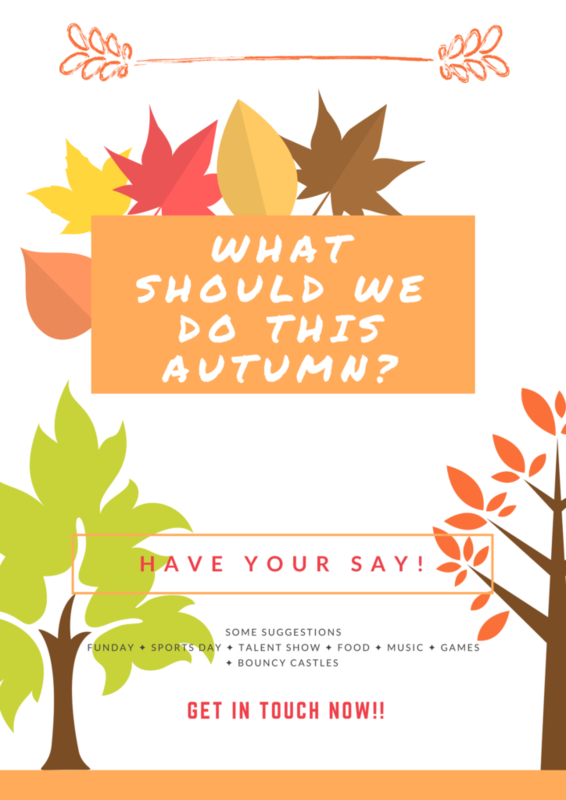 What Shall We Do This Autumn? What shall we do this Autumn? Organising activities to do over Autumn such as putting on a fun day, having a bake off, organising a live music night…whatever you want. We’ll work with Head Office to make your plans a reality. As service user coordinator, I am here for you, if there are any other projects you would like to do then don’t ever hesitate to let me know and I will try my utmost to make it happen! Once you are settled into the service you will be given a participation form detailing all the current projects you can get involved in and a space to write any projects you would like to do. 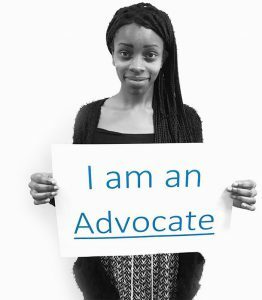 You can get involved as much or as little as you want and for as long as you want, there is no obligation to participate, however, it is important to reiterate how vital your input is to Care in Mind services and how much we value everything you have to offer. You are the experts, you are the best to help make sure Care in Mind is providing you with the best care it can. Care which is fully informed and driven by you and your needs. What do Young People Say about Us? Prior to moving from Newcastle down to Stockport I basically lived a non-existent life: all my life was nurses trying to stop me killing myself, absconding from the hospital (where I’d been for 2 years) or hurting myself. Hence, I knew I had to move in order to try and change the monotonous structure of my existence, Care in Mind made the transition as smooth as possible, thus quelling any increased risk that the move caused. In hospital, you’re treated as a number/patient/service user, not as an individual with specific needs, Care in Mind realise that; as a team they tailor a package that is unique to you, therefore with my experience I was afforded every opportunity of help and support that I needed. My key nurse and my senior support worker were amazing in utilising my time down in Macclesfield to an optimum level of care, so that at present my self-harm has decreased from daily to monthly and I am no longer on a section. Care in Mind changed my life. They are not just a ‘company’ that specialises in dealing with young adults with mental health issues, they are a team of dedicated individuals who provide the utmost care and emotional support that has certainly enabled me to completely turn my life around. I honestly do not know where I would be without the time and energy spent on me by Care in Mind, from individual psychology sessions with my brilliant key nurse to getting my nails done with my incredible support worker to build my self-esteem, they have been integral to my recovery. If you’re lucky enough to be offered support from Care in Mind grab it with both hands, at times if you’re like me and stubborn you might get so frustrated with what they are saying but at the end of the day they were always correct and always have your best interests at heart. They are by far the best group of people I have met in my long journey of psychiatric input and I will always be grateful to them for just how AMAZING they are at what they do. I just wanted to tell you all how grateful I am to all of you for all you have done for me. You may not realise how you changed and impacted my life but you certainly did! I have never been happier than I am now, everything seems to be ‘clicking’ into place in my life. Last year I successfully completed my level 2 catering course and I am currently studying my level 3 in catering. I’m still doing my baking too and I’m busier than ever! I’ve gone from staying in bed all day (when you knew me) to getting up five times a week to go to college and the other days I’m keeping busy with baking and family time too. Sometimes I feel like I don’t have enough days in the week but that’s great. Thank you for all your support while I was in your care. Although I never really said it, thank you for keeping me safe and never giving up on me (even though it may have been easier to). I can now see that there is light at the end of the tunnel like you all said all along. I will never forget all you did for me! I still have odd down days but I just pick myself up and try to make my day more positive and that’s the difference. I know now that things don’t get better without trying! I did not always agree with the decisions you made about my care but I now know it was all done in my best interest. The skills you gave me in my therapy sessions and supportive chats I will always keep, I have used them in everyday life situations and they have been so helpful. So, keep on doing what you do Care in Mind! Everyone has the chance to be successful and happy but we just can’t always grab it, now I have and I’m never going back! I hope you are all well and this makes you smile, I will continue to, hopefully, make you all proud! From day one Care in Mind made me feel welcome, they made me feel like they wanted to help and that’s exactly what they did and to this day they still are doing… no matter what problem, big or small, they work to help me overcome my problems. The staff here are always smiling and create a happy safe environment, for me a place I can call home! A place I am proud to call my home. If not for Care in Mind, I would still be in hospital but day by day they are helping me get my life back.